Careers at Jade Transportation. We look for highly qualified drivers who are certified in the handling of radioactive materials. 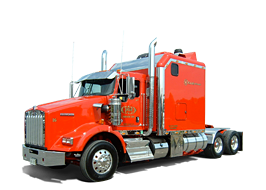 We are fully insured and all of our drivers are experienced, certified nuclear energy workers. Our primary focus is safety, and the safe transportation of class 7 commodities, including HRCQ. We are a Level 6 CVSA compliant carrier and use a combination of company trucks and owner operators and our plans see steady growth within our specialized niche and expansion into the transport of other hazardous materials.